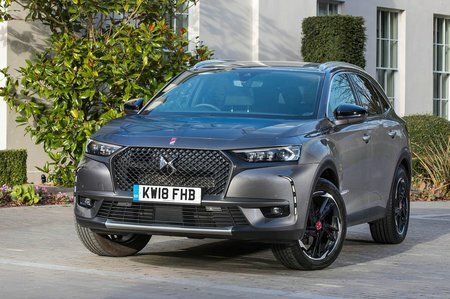 DS 7 Crossback Interior, Sat Nav, Dashboard | What Car? Step inside the 7 Crossback and you’re met with a stylish interior, with interestingly shaped switches, snazzy trims and dashes of shiny chrome. Upgrade from Elegance trim and you even get swathes of Alcantara or leather covering the dash. 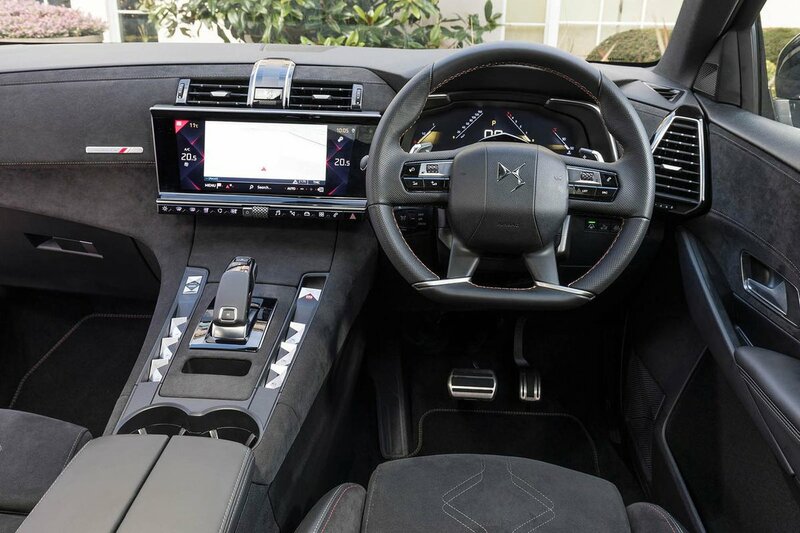 However, the most dominating feature isn’t the exotic materials or rakish centre console; it’s the 12.0in infotainment touchscreen and 12.3in customisable digital instrument display that are standard on upper trims. Yet while all this sounds impressive, the reality is not so good. You need to operate nearly everything through the touchscreen, including the interior temperature – this is not as simple as using physical buttons. And the software is laggy when you press the icons and jerky when you scroll through lists, such as when finding a radio station or phone contact. There are fixed buttons along the bottom edge that should, in theory, make swapping between menus easy, but these buttons are small and touch-sensitive, so it's hard to press them accurately on the move without staring at them intently. More successful, however, is the digital instrument display. This is clear and responsive, and you can configure it in a number of ways to show the information most useful to you, including a large sat-nav map. It’s worth noting that Elegance models get a smaller 8.0in touchscreen and conventional instruments, but we haven’t tried this yet. In terms of quality, the 7 Crossback's interior is hit and miss. It may look rather opulent, but delve deeper and you’ll find that the lower reaches of the dashboard are covered in hard, scratchy surfaces and most of the 'chrome' is actually plastic – not what buyers will be expecting in a premium SUV. 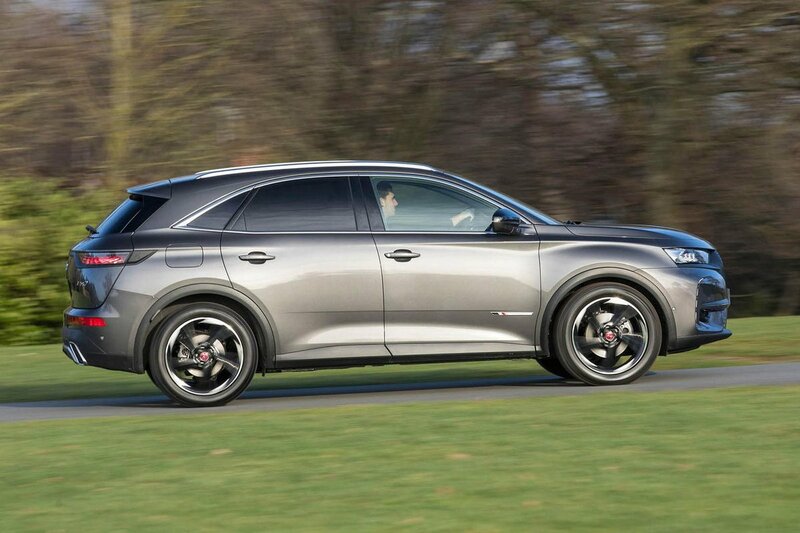 If you step inside the 7 Crossback just after sitting in an Audi Q5, BMW X3 or Volvo XC60, you'll feel rather underwhelmed. At least there's plenty of adjustment for the driver's seat and steering wheel, so getting comfortable shouldn't be an issue for the driver, especially on plush trims that come with heated and even massaging seats. Visibility is good in all directions, but rear parking sensors come as standard on every version should you encounter any issues.